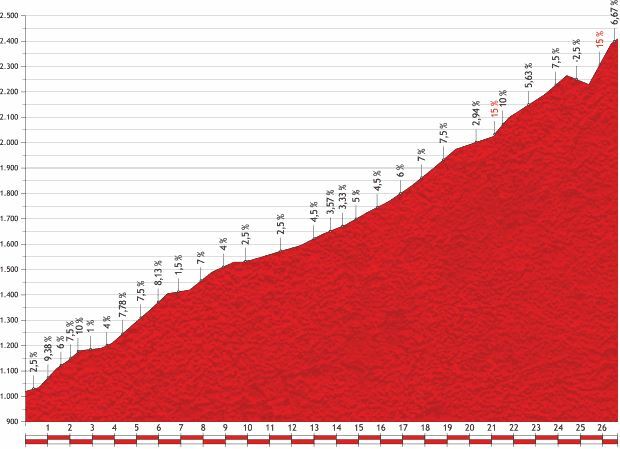 Stage 14 of Vuelta a España 2013 is a very tough mountain stage with summit finish, from Bagà to Collada de la Gallina (Andorra). The length of the course is 155.7 km. 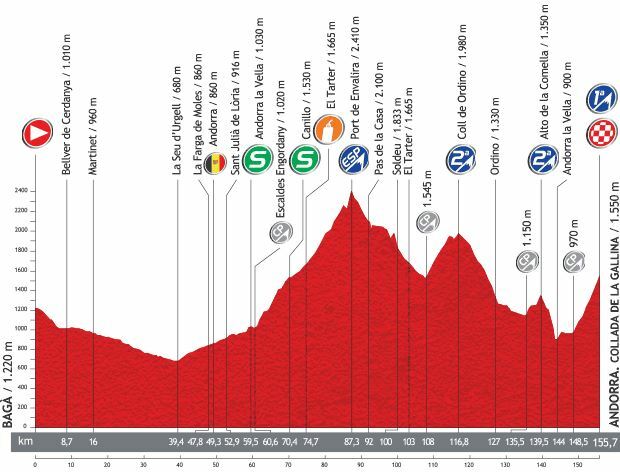 It is also the first stage in Pyrenees. 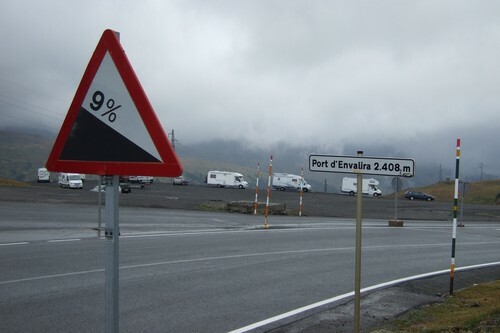 With 2,410 m elevation, the Port de Envalira will be the Cima Alberto Fernandez (the highest point of the Vuelta a España, Spanish equivalent of Cima Coppi) of this year’s race. 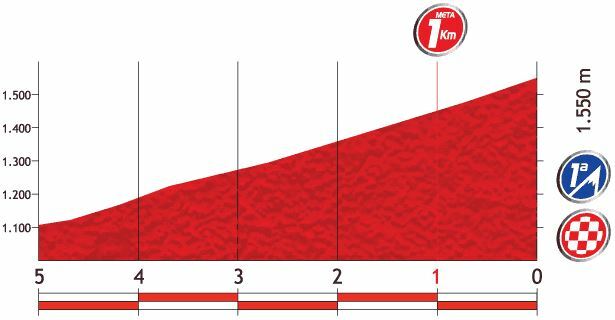 Last year, stage 8 of Vuelta a España finished atop Collada de la Gallina too, and Alejandro Valverde of Movistar won the stage. Bagà is a municipality located in the comarca of Berguedà, in Catalonia. Traditionally, Bagà is considered the capital of Alt Berguedà, the mountainous northern half of the comarca. The Collada de la Gallina is situated in Andorra . 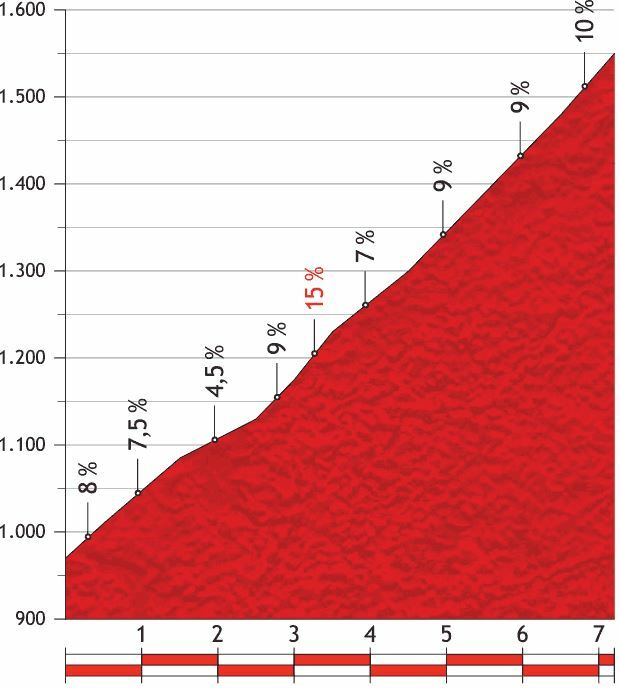 Starting from Aixovall, the Collada de la Gallina ascent is 7.2 km long. Over this distance, you climb 580 meters. The average percentage thus is 8%. Alberto Fernández Blanco (15 January 1955 – 14 December 1984) was a Spanish road racing cyclist. His son Alberto Fernández Sainz is also a road racing cyclist. Fernández was born in Cuena, Cantabria. As an amateur, he won the Spanish mountain bike championships, and turned professional in 1978. During his career, he was nicknamed el Galleta (“the Biscuit”), because the town where he lived, Aguilar de Campoo, had several biscuit factories. His best results came during the last two years of his career. He finished 10th overall in the 1982 Tour de France, and 3rd in his first appearance in the 1983 Giro d’Italia. He also finished 3rd in the 1983 Vuelta a España, improving to 2nd in 1984, only 6 seconds behind winner Éric Caritoux (the shortest winning margin in any of the Grand Tours). He was killed, alongside his wife, in a car accident in December 1984, just short of his 30th birthday.